Another piece of artistry from artisan pasta maker Marella, this Sombreroni Mexican Hats can make quite an impression on the dinner table. And much like the classic stuffed pasta such as ravioli and tortellini, you can stuff all kinds of delicious goodness inside them. Clearly another brilliant design from Marella, these colorful pasta hats are perfect for special occasions. Or if you simply want to cheer someone up, they would also be quite appropriate. 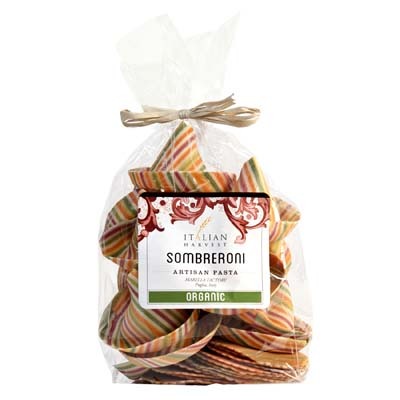 They can even be quite an impressive present to pasta lovers. For whichever reason it may be, clearly these beautiful edible Mexican hats are a must-have for any Italian pantry. So grab a bag now!